TVET ENCOUNTER 2019 PRELIMINARY MEETING. 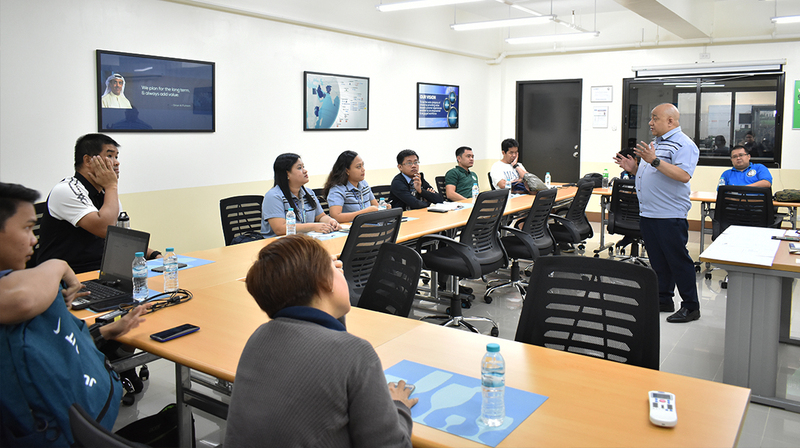 The preliminary meeting for the planning and preparation of the annual gathering of different Don Bosco Setting which is called the TVET Encounter was held at Al Futtaim, Braga Bldg., Don Bosco Technical Institute Makati, meeting was called by Rev. Fr. Manuel "Boc" H. Nicolas, SDB from Don Bosco Youth Center Tondo Inc. which happens to be the Head Organizer of this year's TVET Encounter. The event focuses on promoting camaraderie of the Bosconians of different Don Bosco Settings, to also have a meaningful celebration of the year of the youth and appreciates the traits of the Salesian Youth Spirituality of joy and family spirit with a theme: BOSCONIANS: Beloved, Gifted, Empowered. The meeting was attended by the representatives from different Don Bosco settings from Philippine North province.